Speech Delivered at a Memorial Meeting of the Kremlin Military School. Source: Works, Vol. 6, January-November, 1924, pp. 54-66, Foreign Languages Publishing House, Moscow, 1954. 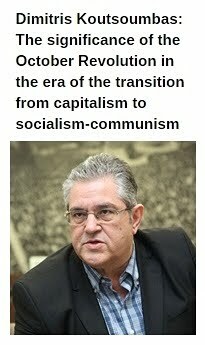 Reproduced from Marxists Internet Archives. I am told that you have arranged a Lenin memorial meeting here this evening and that I have been invited as one of the speakers. I do not think there is any need for me to deliver a set speech on Lenin’s activities. It would be better, I think, to confine myself to a few facts to bring out certain of Lenin’s characteristics as a man and a leader. There may, perhaps, be no inherent connection between these facts, but that is not of vital importance as far as gaining a general idea of Lenin is concerned. At any rate, I am unable on this occasion to do more than what I have just promised. I first became acquainted with Lenin in 1903. True, it was not a personal acquaintance, but was by correspondence. But it made an indelible impression upon me, one which has never left me throughout all my work in the Party. I was in exile in Siberia at the time. 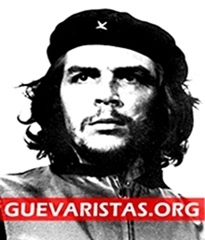 My knowledge of Lenin’s revolutionary activities since the end of the nineties, and especially after 1901, after the appearance of Iskra, had convinced me that in Lenin we had a man of extraordinary calibre. At that time I did not regard him merely as a leader of the Party, but as its actual founder, for he alone understood the inner essence and urgent needs of our Party. When I compared him with the other leaders of our Party, it always seemed to me that he was head and shoulders above his colleagues—Plekhanov, Martov, Axelrod and the others; that, compared with them, Lenin was not just one of the leaders, but a leader of the highest rank, a mountain eagle, who knew no fear in the struggle, and who boldly led the Party forward along the unexplored paths of the Russian revolutionary movement. This impression took such a deep hold of me that I felt impelled to write about it to a close friend of mine who was living as a political exile abroad, requesting him to give me his opinion. Some time later, when I was already in exile in Siberia—this was at the end of 1903—I received an enthusiastic reply from my friend and a simple, but profoundly expressive letter from Lenin, to whom, it turned out, my friend had shown my letter. Lenin’s note was comparatively short, but it contained a bold and fearless criticism of the practical work of our Party, and a remarkably clear and concise account of the entire plan of work of the Party in the immediate future. Only Lenin could write of the most intricate things so simply and clearly, so concisely and boldly, that every sentence did not so much speak as ring out like a rifle shot. 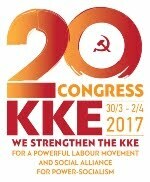 This simple and bold letter still further strengthened me in my opinion that Lenin was the mountain eagle of our Party. I cannot forgive myself for having, from the habit of an old underground worker, consigned this letter of Lenin’s, like many other letters, to the flames. My acquaintance with Lenin dates from that time. I first met Lenin in December 1905 at the Bolshevik conference in Tammerfors (Finland). I was hoping to see the mountain eagle of our Party, the great man, great not only politically, but, if you will, physically, because in my imagination I had pictured Lenin as a giant, stately and imposing. What, then, was my disappointment to see a most ordinary-looking man, below average height, in no way, literally in no way, distinguishable from ordinary mortals. . . . It is accepted as the usual thing for a “great man” to come late to meetings so that the assembly may await, his appearance with bated breath; and then, just before the “great man” enters, the warning whisper goes up: “Hush! . . . Silence! . . . he’s coming.” This ritual did not seem to me superfluous, because it creates an impression, inspires respect. What, then, was my disappointment to learn that Lenin had arrived at the conference before the delegates, had settled himself somewhere in a corner, and was unassumingly carrying on a conversation, a most ordinary conversation with the most ordinary delegates at the conference. I will not conceal from you that at that time this seemed to me to be something of a violation of certain essential rules. Only later did I realise that this simplicity and modesty, this striving to remain unobserved, or, at least, not to make himself conspicuous and not to emphasise his high position, this feature was one of Lenin’s strongest points as the new leader of the new masses, of the simple and ordinary masses of the “rank and file” of humanity. The two speeches Lenin delivered at this conference were remarkable: one was on the current situation and the other on the agrarian question. Unfortunately, they have not been preserved. They were inspired, and they roused the whole conference to a pitch of stormy enthusiasm. 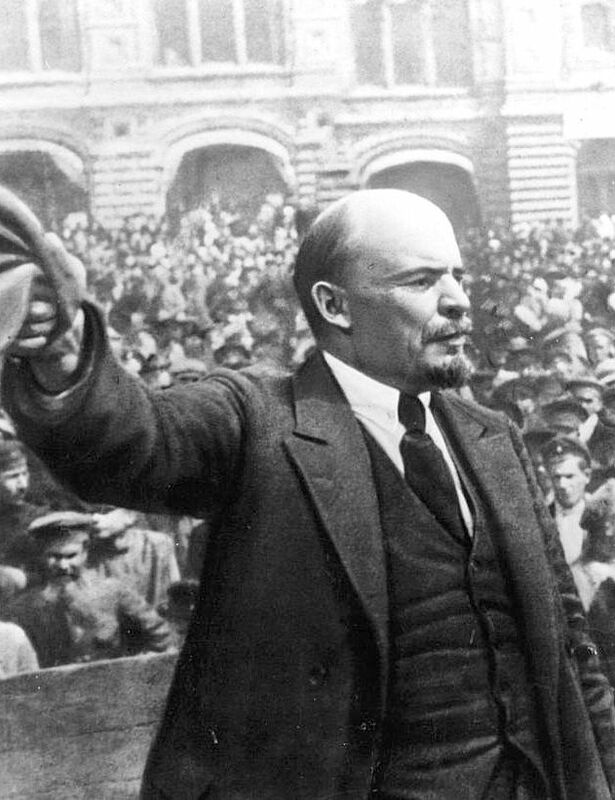 The extraordinary power of conviction, the simplicity and clarity of argument, the brief and easily understood sentences, the absence of affectation, of dizzying gestures and theatrical phrases aiming at effect—all this made Lenin’s speeches a favourable contrast to the speeches of the usual “parliamentary” orators. I think that this characteristic of Lenin’s speeches was the strongest feature of his art as an orator. 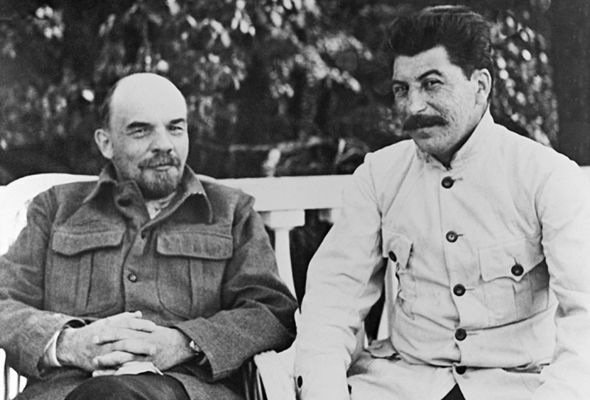 The second time I met Lenin was in 1906 at the Stockholm Congress of our Party. You know that the Bolsheviks were in the minority at this congress and suffered defeat. This was the first time I saw Lenin in the role of the vanquished. But he was not in the least like those leaders who whine and lose heart after a defeat. On the contrary, defeat transformed Lenin into a spring of compressed energy which inspired his supporters for new battles and for future victory. I said that Lenin was defeated. But what sort of defeat was it? You had only to look at his opponents, the victors at the Stockholm Congress—Plekhanov, Axelrod, Martov and the rest. 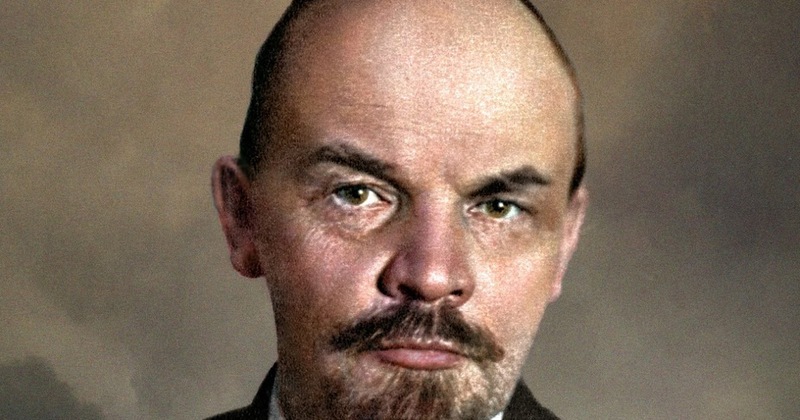 They had little of the appearance of real victors, for Lenin’s merciless criticism of Menshevism had not left one whole bone in their body, so to speak. I remember that we, the Bolshevik delegates, huddled together in a group, gazing at Lenin and asking his advice. The speeches of some of the delegates betrayed a note of weariness and dejection. I recall that to these speeches Lenin bitingly replied through clenched teeth: “Don’t whine, comrades, we are bound to win, for we are right.” Hatred of the whining intellectual, faith in our own strength, confidence in victory—that is what Lenin impressed upon us. It was felt that the Bolsheviks’ defeat was temporary, that they were bound to win in the very near future. “No whining over defeat”—this was the feature of Lenin’s activities that helped him to rally around himself an army faithful to the end and confident in its strength. “No boasting in victory”—this was the feature of Lenin’s character that helped him soberly to weigh the strength of the enemy and to insure the Party against possible surprises. Particularly characteristic in this respect are the two following facts. First fact. It was in the period 1909-11, when the Party, smashed by the counter-revolution, was in process of complete disintegration. 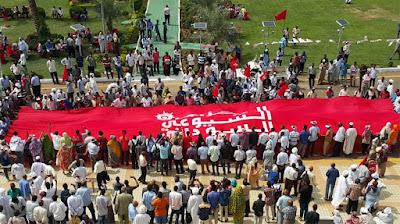 It was a period of disbelief in the Party, of wholesale desertion from the Party, not only by the intellectuals, but partly even by the workers; a period when the necessity for illegal organisation was being denied, a period of Liquidationism and collapse. Not only the Mensheviks, but even the Bolsheviks then consisted of a number of factions and trends, for the most part severed from the working-class movement. You know that it was just at that period that the idea arose of completely liquidating the illegal organisation and organising the workers into a legal, liberal Stolypin party. 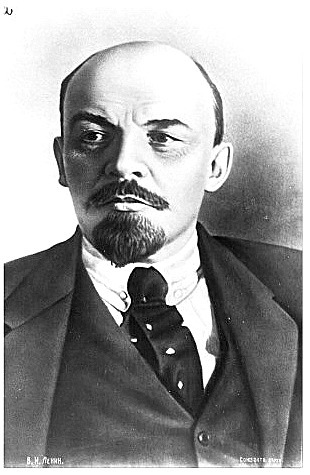 Lenin at that time was the only one not to succumb to the widespread epidemic and to hold high the banner of Party principle, assembling the scattered and shattered forces of the Party with astonishing patience and extraordinary persistence, combating each and every anti-Party trend within the working-class movement and defending the Party principle with unusual courage and unparalleled perseverance. We know that in this fight for the Party principle, Lenin later proved the victor. Second fact. 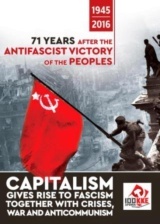 It was in the period 1914-17, when the imperialist war was in full swing, and when all, or nearly all, the Social-Democratic and Socialist parties had succumbed to the general patriotic frenzy and had placed themselves at the service of the imperialism of their respective countries. It was a period when the Second International had hauled down its colours to capitalism, when even people like Plekhanov, Kautsky, Guesde and the rest were unable to withstand the tide of chauvinism. Lenin at that time was the only one, or almost the only one, to wage a determined struggle against social-chauvinism and social-pacifism, to denounce the treachery of the Guesdes and Kautskys, and to stigmatise the half-heartedness of the betwixt and between “revolutionaries.” Lenin knew that he was backed by only an insignificant minority, but to him this was not of decisive moment, for he knew that the only correct policy with a future before it was the policy of consistent internationalism, that a policy based on principle is the only correct policy. We know that in this fight for a new International, too, Lenin proved the victor. “A policy based on principle is the only correct policy”—this was the formula by means of which Lenin took new “impregnable” positions by assault and won over the best elements of the proletariat to revolutionary Marxism. Hence the “amazing” clarity of Lenin’s tactical slogans and the “breath-taking” boldness of his revolutionary plans. I recall two facts which are particularly characteristic of this feature of Lenin. First fact. 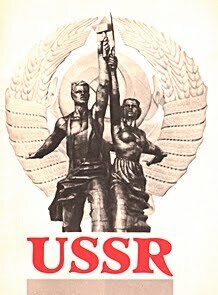 It was in the period just prior to the October Revolution, when millions of workers, peasants and soldiers, impelled by the crisis in the rear and at the front, were demanding peace and liberty; when the generals and the bourgeoisie were working for a military dictatorship for the sake of “war to a finish”; when the whole of so-called “public opinion” and all the so-called “Socialist parties” were hostile to the Bolsheviks and were branding them as “German spies”; when Kerensky was trying—already with some success—to drive the Bolshevik Party underground; and when the still powerful and disciplined armies of the Austro-German coalition confronted our weary, disintegrating armies, while the West-European “Socialists” lived in blissful alliance with their governments for the sake of “war to complete victory.”. . .
What did starting an uprising at such a moment mean? Starting an uprising in such a situation meant staking everything. But Lenin did not fear the risk, for he knew, he saw with his prophetic eye, that an uprising was inevitable, that it would win; that an uprising in Russia would pave the way for ending the imperialist war, that it would rouse the war-weary masses of the West, that it would transform the imperialist war into a civil war; that the uprising would usher in a Republic of Soviets, and that the Republic of Soviets would serve as a bulwark for the revolutionary movement throughout the world. We know that Lenin’s revolutionary foresight was subsequently confirmed with unparalleled exactness. Second fact. It was in the first days of the October Revolution, when the Council of People’s Commissars was trying to compel General Dukhonin, the mutinous Commander-in-Chief, to terminate hostilities and open negotiations for an armistice with the Germans. I recall that Lenin, Krylenko (the future Commander-in-Chief) and I went to General Staff Headquarters in Petrograd to negotiate with Dukhonin over the direct wire. It was a ghastly moment. 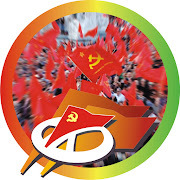 Dukhonin and Field Headquarters categorically refused to obey the order of the Council of People’s Commissars. The army officers were completely under the sway of Field Headquarters. This was “a leap in the dark.” But Lenin did not shrink from this “leap”; on the contrary, he made it eagerly, for he knew that the army wanted peace and would win peace, sweeping every obstacle from its path; he knew that this method of establishing peace was bound to have its effect on the Austro-German soldiers and would give full rein to the yearning for peace on every front without exception. We know that here, too, Lenin’s revolutionary foresight was subsequently confirmed with the utmost exactness. 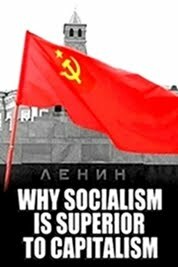 The insight of genius, the ability rapidly to grasp and divine the inner meaning of impending events this was the quality of Lenin which enabled him to lay down the correct strategy and a clear line of conduct at turning points of the revolutionary movement.